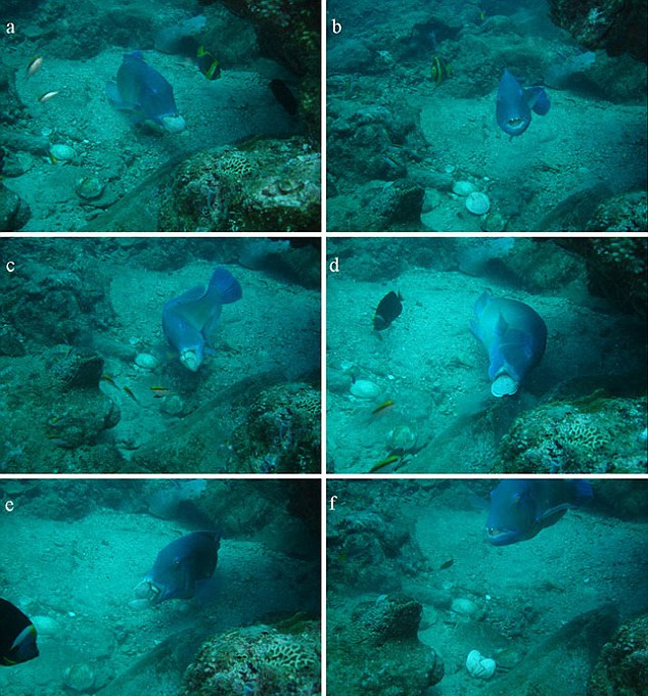 While there have been anecdotal accounts of other fish using tools, this is the first time that this type of behavior has been caught on film. What Is Tool Use, Anyhow? Those of you who pay close attention may already have noted that the definition of tool use can stir controversy. For example, beginning at the 10:34 mark in her video presentation relating to the awesome octopus, Maggie Koerth-Baker describes two very divergent definitions that might lead to different conclusions about whether the octopus engages in tool use: (a) a stricter definition that requires that an animal use a solid object to solve an “immediate problem,” rather than just to provide defense, and (b) a broader definition holding that tool use occurs whenever an animal modifies an object so as to alter some aspect of its environment. Which of the above definitions makes the most sense to you? Does it matter whether the behavior is performed by a captive animal (like the New Caledonian crow) or in the wild? Are definitions of tool use inherently anthropocentric and subjective? That is, are we trying to come up with a definition that basically requires the behavior to look like something a human would do (if it really is a tool, then I should be able to see the Craftsman logo) before we accept it? Is it significant whether the behavior is widespread? That is, if the behavior is only observed once or twice, is it a fluke? If the behavior is widespread, is it mere instinct? Is nest building by birds an example of tool use? There will undoubtedly be more AnimalWise posts about tool use. In the meantime, if you run across any tuskfish, you should look very closely to see if you can see their very small, teeny-tiny tool belts. They really are quite cute. 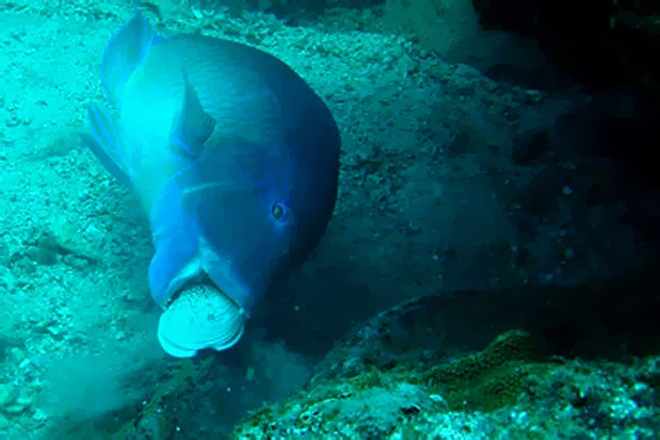 1ScienceNOW, “Diver Snaps First Photo of Fish Using Tools,” July 8, 2011. 2Jones, A.M., Brown, C., Gardner, S. Tool use in the tuskfish Choerodon schoenleinii? Coral Reefs. DOI:10.1007/s00338-011-0790-y. Well here’s a website that can help you with that.